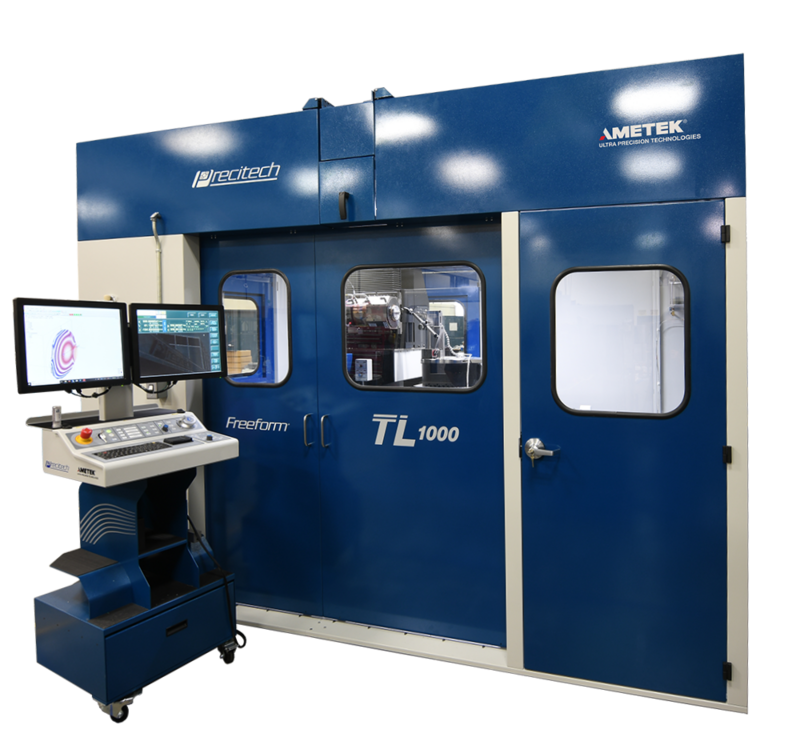 Whether you need to manufacture a freeform part today or want the flexibility for future market requirements, the Freeform® TL 1000 is precisely the machine you need. Precitech has added our 500 mm X axis to the field proven Freeform TL platform, increasing flexibility and precision. The result is the largest commercially available ultra precision freeform machining system - the Freeform TL 1000. Customers can diamond turn, micro-mill, micro-grind, and groove non-rotationally symmetric surfaces on a one-meter platform.